Canada has some amazing history travel opportunities. Let us start on the east side of the country, with three of Canada’s oldest and most historic cities: Halifax, Quebec City and Montreal. The second article in this series will introduce you to Ottawa, Toronto, Calgary and Vancouver. Keep in mind that the places mentioned are just a small selection of all the historic sites that are located in these cities. Halifax is the largest city in Canada’s Atlantic provinces and was founded in 1749 as a military outpost by the British. Even today, the city still plays an important role in the Canadain Navy, given that Halifax features the second largest natural harbour in the world. The Halifax Citadel was originally built in 1749 and a series of four different defensive fortifications have stood on top of Citadel Hill since then. In 1917, Halifax suffered the Halifax Explosion due to a collision of two ships, one of which was filled with munitions that were destined for the war effort in WWI. Halifax also has a huge connection to the sinking of the Titanic since several ships were dispatched from here to retrieve bodies of the victims of this sinking. Both of these traumatic events are chronicled in the Maritime Museum of the Atlantic. The Fairview Cemetery is the last resting place of 121 victims of the Titanic. More Canadian national history is enshrined at Pier 21, Canada’s National Museum of Immigration. Pier 21, a former ocean liner terminal, was the first place of entry for over one million immigrants to Canada and is often compared to Ellis Island in New York City. 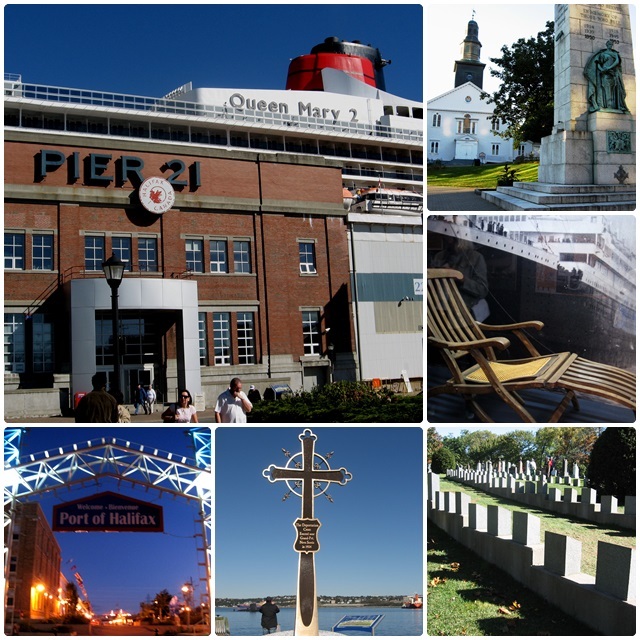 Have a look at our travel experience in Halifax, Nova Scotia. Talking about history, Quebec City cannot be missed. Quebec City’s Old Town is a designated UNESCO World Heritage Site and it is the only walled city in North America (excluding Mexico and the Caribbean). Quebec City was founded in 1608 and the Upper Town (Haute-Ville) is home to a large number of historic buildings, including the Citadel, the Plains of Abraham Battlefield Park and Dufferin Terrace. The Chateau Frontenac, Quebec City’s world-renowned landmark, is often referred to as the most photographed hotel in North America. Built in 1893 in the famous chateau style, this was one of the many iconic hotels built by the Canadian Pacific Railway Company, and it is still the city’s flagship today. The Lower City (Basse-Ville) is anchored by the Place-Royale, the spot where Samuel Champlain landed in 1608 and founded the first French settlement in North America. 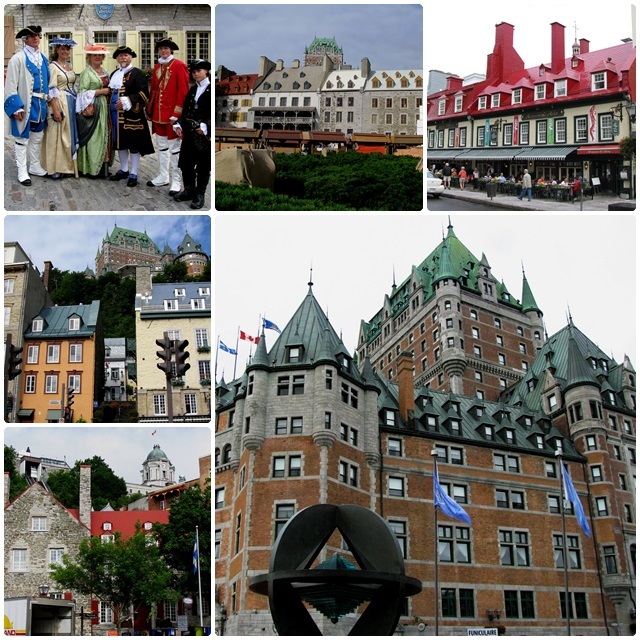 Here is a travel guide with lots of ideas for Quebec City travel. Montreal is one of the oldest cities in Canada, as it was founded as “Ville-Marie” in 1642. Old Montreal, the city’s historic core next to the St. Lawrence River, is truly an extraordinary historic district, with a myriad of well-preserved and restored buildings from the 17th to the 19th century. Historic jewels in this area include the Place Jacques-Cartier, the area’s main square, the Bonsecours Market which opened in 1847, and the magnificent Notre-Dame Basilica, a jewel of Victorian Gothic whose construction started in 1823. The Chateau Ramezay was built in 1705 and was the residence of a former governor of Montreal. Today it is a museum and historic building. Pointe-à-Callière is Montreal’s Museum of Archeology and History and is located exactly where Ville-Marie was originally founded. The Centre d’histoire de Montreal is a fascinating history museum, housed in a 1903 Flemish-style former fire station. Montreal has many other historic areas, including Downtown Montreal with its many historic skyscrapers, McGill University and Concordia University. Other interesting historic districts include the Quartier Latin (Latin Quarter), the Plateau, Westmount and Outremont. Not to be missed is St. Joseph’s Oratory, a magnificent Roman Catholic basilica and national shrine on the western slopes of Mount Royal. Built between 1924 and 1967, the dome of this magnificent basilica is the 3rd largest dome of its kind in the world. Montreal is always a great travel destination. 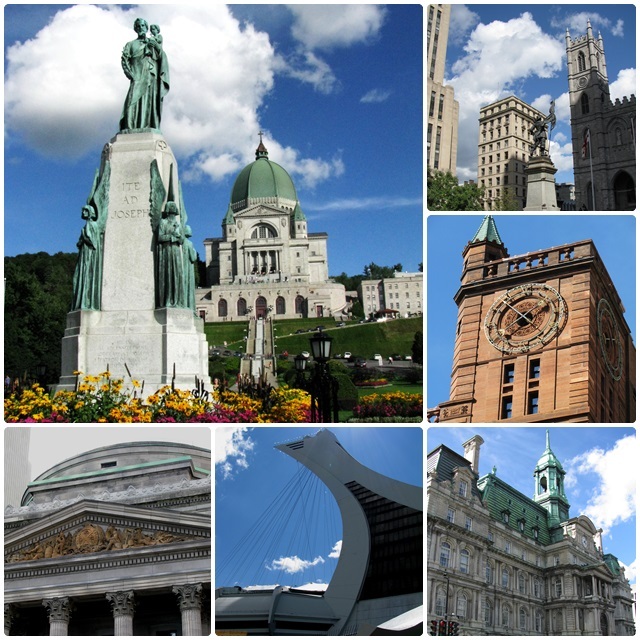 Have a look at our large article collection about Montreal travel.